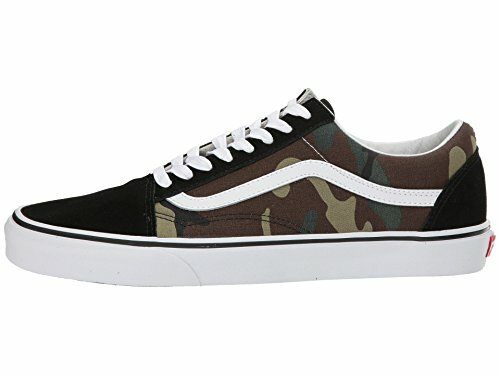 The lowest price of Vans Old Skool Skate Shoe (11 Women / 9.5 Men M US, (Woodland Camo) Black/Woodland 7203) was obtained on April 14, 2019 6:59 am. 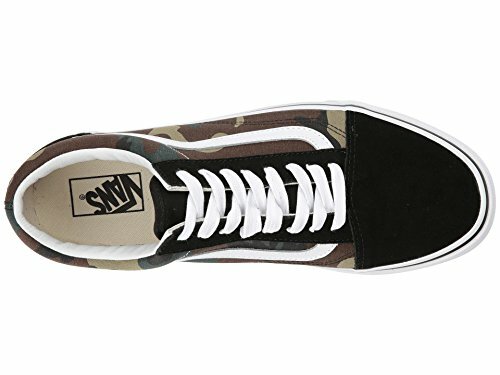 Vans Woodland Camo Old Skool has everything you’d expect from a classic skater’s shoes. They are sturdy, lightweight, stylish, and so comfortable to wear. Plus, they’re budget-friendly too! But what makes them such a hit on the skating front? It all comes down to the details. For starters due to its elasticity, the vulcanized rubber soles offer the wearer flexibility ― this trait supports the technical flips and ground tricks. 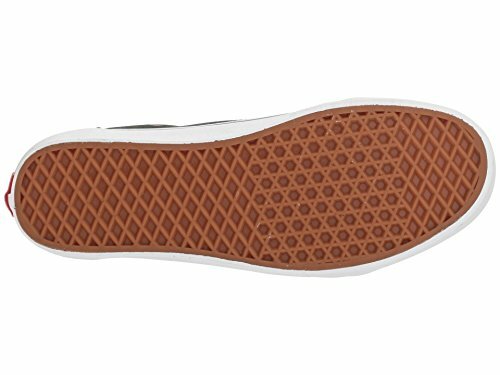 Then the trademark waffle outsoles function as grip supports. They ensure that your feet stay steady on the skateboard. Additionally, the hard-wearing material of these rubber soles is water-proof. So you can showcase your killer moves in the rain without ruining the kicks. Moreover, other characteristics reinforce the strength of these canvas shoes. Like the high-quality blend of black canvas and suede upper maintain durability. Next, the toe-caps and double-stitching details add extra support in the areas most likely to suffer strain. Apart from that, the interior has cushioned insoles that work as impact supports. Moreover, the padded collars prevent the ankles from getting scraped during a risky stunt. The combination of all these nifty features helps the skaters work their magic on the streets without comprising on comfort. What about style? 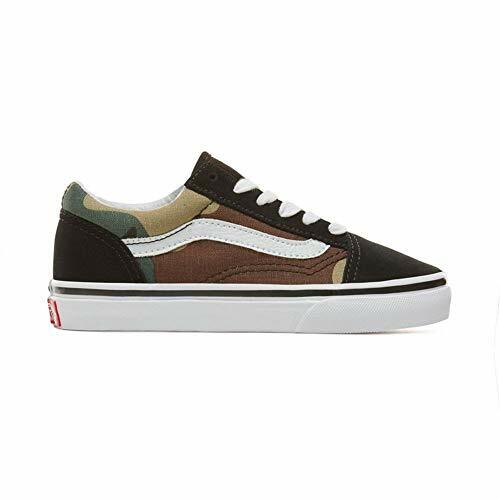 These canvas shoes are part of Vans’ retro shoe range. 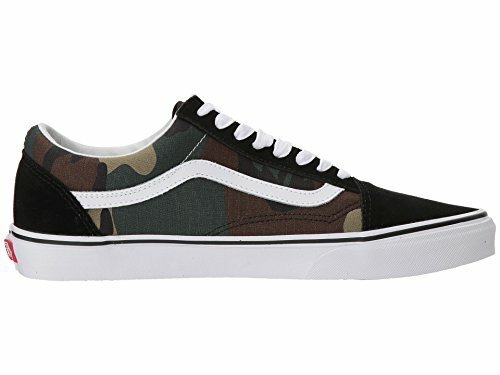 They feature a simple yet stylish old school vibe because of the relatively thick white laces and woodsy camo print. The look is tied together with the contrasting white side stripe that has become the brand’s signature. 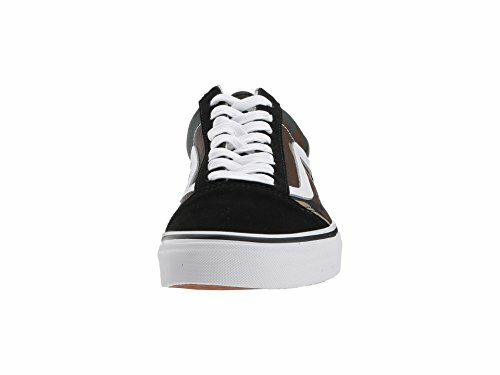 The look overall construction is pretty low-profile when compared with other Vans shoes. 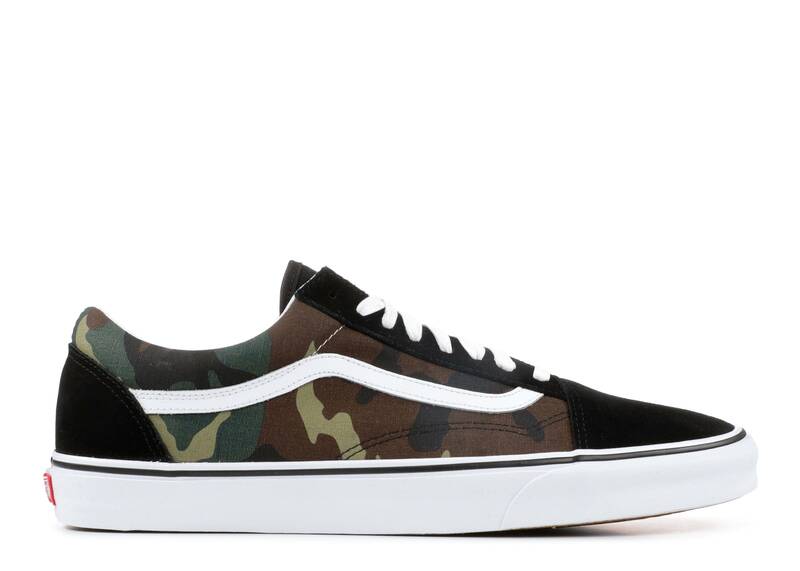 Whether it’s on the skating ramp or casual outings― this trait makes them suitable for all kinds of outings. 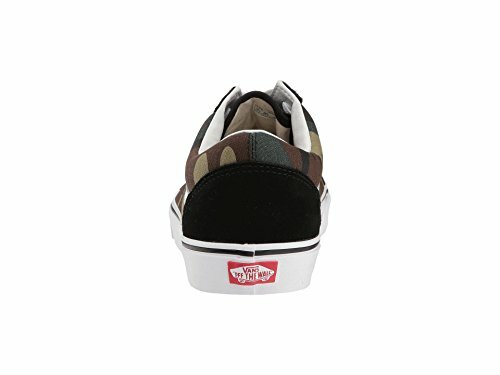 Thus, making these Vans the best shoes for everyday footwear. 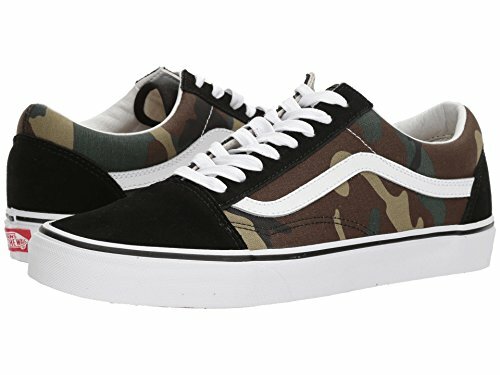 In the end, if you’re interested in getting shoes that endure your skater lifestyle then you should definitely grab a pair of Vans Woodland Camo Old Skool!